Released October 14th. Director: Farzad Sangari. Distributed by BOND/360. The distribution company provided an advance screening of this film. 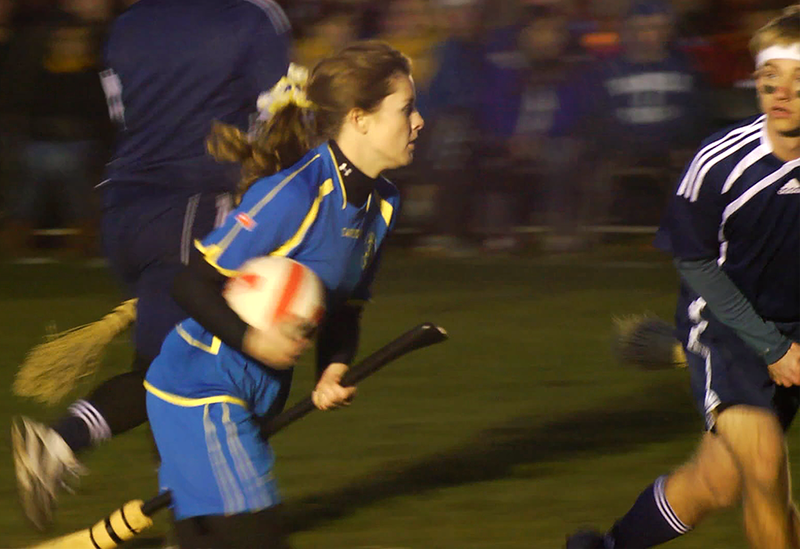 This documentary about Quidditch is utterly charming. You may think Quidditch is a fictional sport invented by J.K. Rowling for her Harry Potter series... but Quidditch is also working on making its way into the real world, as documented in Mudbloods. In the books, Quidditch is played by wizards flying on brooms, who toss balls through hoops at either end of an arena. Like most sports, real- and fantasy-based, in Quidditch teams score points by getting a ball through their opponent's hoop, but there's the addition of the golden snitch, a small flying ball that awards many points -- and ends the game -- when caught. Obviously, this isn't a sport that translates exactly to real life, but that hasn't stopped people from trying to mimic the setup from Rowling's books. 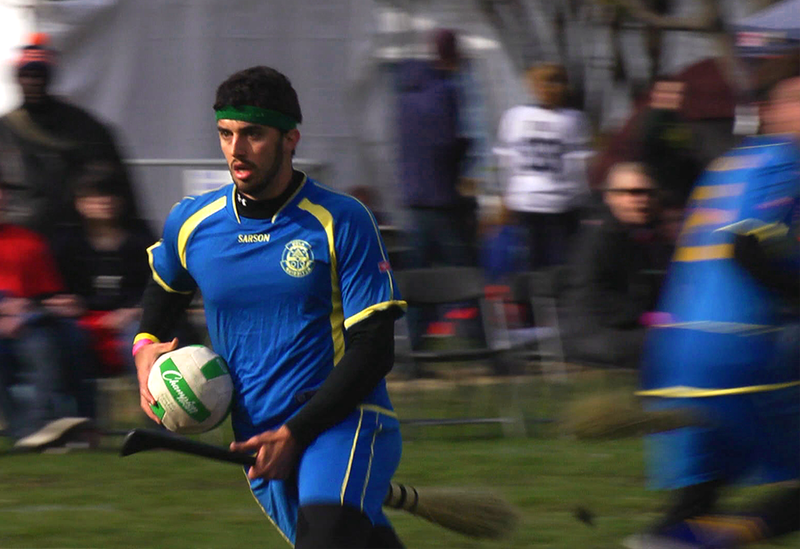 Yes, Quidditch in our world is still played on brooms -- making it a one-handed sport -- but there's a lot less flying happening. And since there's no way to make a ball fly on its own, the snitch is a person carrying a ball, which players must get without touching the person. The end result is a very physical sport that's not unlike soccer or rugby... just with brooms. Is it kind of silly? Sure. But the people playing and enjoying the sport do so with a passion that's not silly at all. 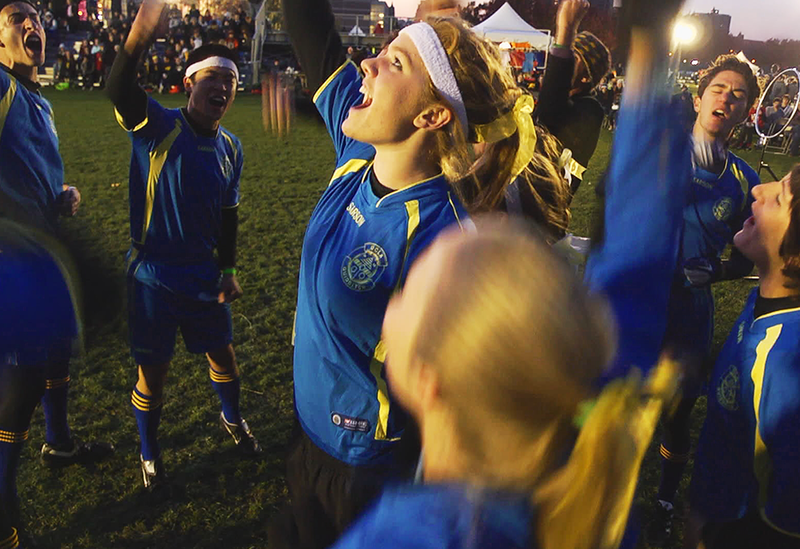 It's that passion that makes Mudbloods, a documentary about the UCLA Quidditch team's journey to compete in the Fifth Annual Quidditch World Cup in New York City (yes, this is an actual event), so engrossing. These are underdogs with an unconventional hobby who are chasing after it despite what others say -- and that's a story that a lot of geeks are likely to relate to. Mudbloods has a casual storytelling style, explaining Quidditch and its players with interviews and footage that feels very natural -- making it seem like you're part of the conversation the documentary is having rather than separated by a TV screen. It's a tone that works great for the subject and it makes you feel invested right from the start. Whether you're a Harry Potter fan or not, Mudbloods is a fun trip to the madcap -- and, yes, still kind of magical -- world of Quidditch. If you can spare 90 minutes or so, we think it's definitely worth watching. If you want to catch Mudbloods, you can find it online now. You can buy it on iTunes or directly on the movie's website, where you can use the code ESCAPIST to get $1 off the digital download. 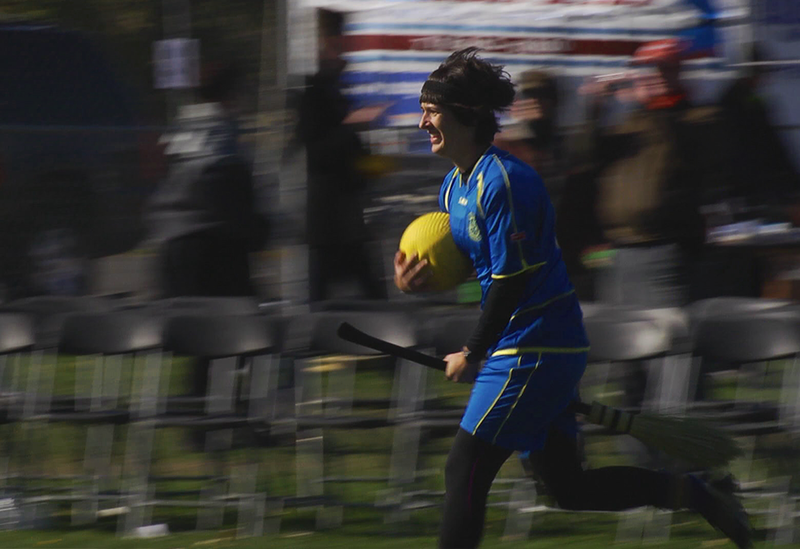 Bottom Line: Mudbloods may have a silly premise, but the people in it have an enthusiasm for their sport that's contagious. 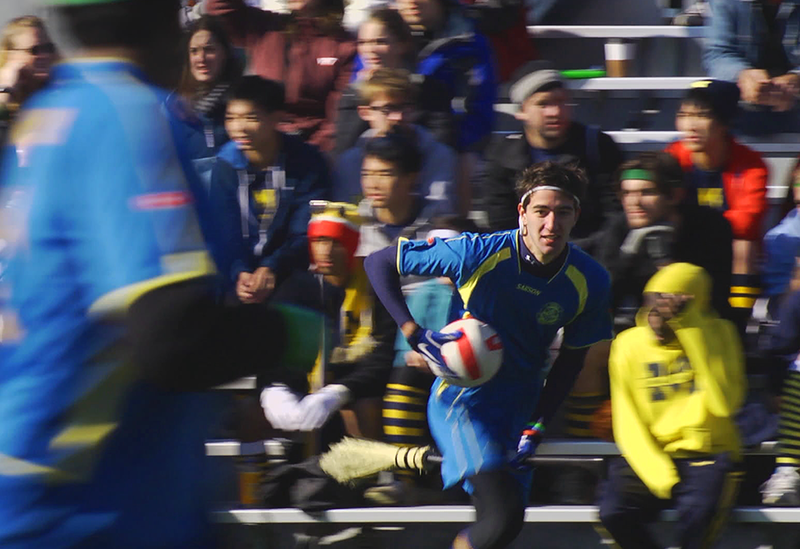 By the end, you'll probably find yourself cheering on UCLA's Quidditch team, too. 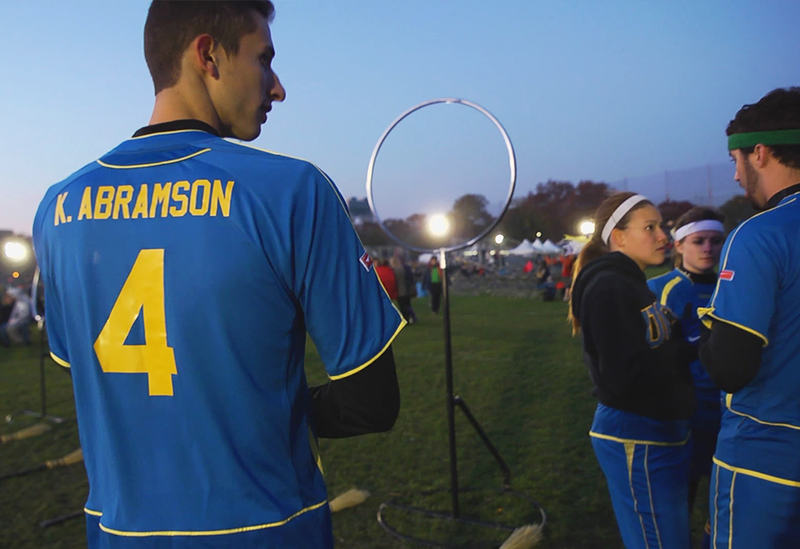 Recommendation: Harry Potter fans will likely get more out of this documentary, but even those who have never heard of Quidditch are likely to be taken in by this charming story about chasing an impossible dream.